Today I want to share a helpful strategy to getting better sounding mixes with fewer plugins. Why is fewer plugins a good thing? For one you can save CPU power if you mixing on a native system (which many of us are). Secondly, I’m of the belief that the less processing you do to the audio, the better. This strategy is kind of a backwards one. It’s called Top Down Mixing and I think you’re going to love it. There are definitely a few philosophies on how to approach a mix, but the one I keep coming back to is this Top Down approach. It’s based on the fact that your DAW signal flow (or analog console) is comprised of three layers. And what you do on the top layer affects those beneath it. If your master fader is the final stop for your tracks, then that is the highest point in the mix. One layer below the master fader would be group tracks or busses. Examples would be a drums buss, guitars buss, vocals, etc. And then finally underneath those busses are the individual tracks where your audio lives. So when I’m ready to mix, and I’ve got a solid static mix going the very first place I start inserting plugins is on my master fader (i.e. the top layer). I’ll typically mix through some kind of console emulation or saturation style plugin, a compressor, and potentially a sweet sounding EQ. With just three plugins I can see immediate results on my entire mix. All of the tracks benefit because I’m processing on the top layer. I’m also making small, subtle enhancements (because I don’t want to screw up my tracks) and the result is a much more natural and musical improvement on the entire mix. After mixing on the top layer, I’ll drop down to the middle layer: the group busses. I don’t always insert plugins here, but I will when I can make a difference. Do the drums need to be a bit brighter? Is there mud on the guitars? Are the keys a bit harsh? By making slight EQ and compression moves (even saturation) on these instrument group tracks I can subtly but effectively bring all the tracks below them one step closer to sounding like a pro mix. Granted, you can’t do much precise mixing, but you’ve at least enhanced things on a more instrument by instrument level, getting you closer. At this point you can typically bypass the handful of plugins on your master fader and group tracks and hear a big change in the mix. Your mix, without any processing on the actual tracks is already being transformed. You likely will have a cleaner, punchier, and warmer mix. All of this makes the ground floor mixing, putting plugins on individual tracks, that much easier. There’s less heavy lifting to do. You can focus on simple EQ carving and compression on a case by case basis to reduce masking and create more clarity. You’ll be surprised at just how quickly this layer can come together. To effectively mix with a top down approach, requires top down thinking. The same big picture mindset you use in your 10 minute mix (thinking like a listener, hearing the song and not the tiny details) is what translates over into top down mixing. It’s this mindset that tries to see the sum of your tracks more than you see the individual tracks. Why? Because this focused approach gives you better results and keeps you from over tweaking and ruining a perfectly good mix. I agree. fewer plugins mean better mixes, or to be more precise, more “focus” on what you’re doing. Moreover, it’s true that if you find yourself in need of less plugins it means that your tracks are well recorded in my opinion 🙂 one thing that I’m still experimenting is the idea of inserting plugins on the master bus. I think it’s some kind of “faking” my listening, but I think it’s a good thing anyway. It’s just something that I feel I need to practice to manage it the best way. If I can get good mixes without plugins on the master bus I think it’s good, isn’t it? Maybe a little compression helps to glue everything. It all makes totally sense! I’ll have to try this for sure on my next mix. I’ll have to ask though. EQ and Compression etc I can understand, and I use that as well on the master bus. But what about reverb and delay do you use that on the master as well or do you save that to the next level? In my thinking, reverb and delay are there to add a sense of space to your mix. So I wouldn’t be shy to use reverb on the master bus, if I wanted to create an illusion that every instrument and singer is in the same physical space. My preferred way of using reverb in that scenario is to make it barely audible, so that it doesn’t become annoying but creates that special sense of space. I haven’t found a good use of delay on the master bus so far. Perhaps that day will come, too. I tend to use Reverb and/or Delay on their own Aux channels. I don’t necessarily want either effect on EVERY track or for the same AMOUNT of effect. Using auxiliaries and bussing each track to taste will give you total control, minimize your CPU toll, and keep your effects CONSISTENT. This way you won’t run into mismatched reverb spaces or ill-timed delays, resulting in noisy mixes. I usually add these towards the end on separate tracks. Very cool idea. I’ve never tried this approach. Nice. Thanks for the info. I will surely apply this technique in my mixes. I find I’m doing this a lot with guitar and bass where I’ve used multiple mics, I sum all the mics I’ve used into a bus and then just process that. For something like drums though, I think you need to be more precise in how you process the audio; I wouldn’t want to just process a stereo bus and leave it at that, as there’s so many tonal qualities a drum kit offers. It’s a refreshing change to just process busses though. Graham, this is such a great way to think about mixing. It makes perfect since. It widens up the mix, and makes it sound more natural. Great write! Excellent idea. I heard of this technique from Joe over at Dueling Mixes and was wondering about the process. Thanks for clarifying, definitely gonna try it next mix. Is there a video on this? I would like to physically see this approach. It would help a lot. Graham, you have no idea how much I learn from every post you write. Just…thank you. I finally feel that I can do this. I have been studying your methods and workflow and philosophy in general and it has worked! So, keep up the great work you do 🙂 It really is a blessing. I’ve even applied the principles to the sound engineering at church! I’ve never tried working my way backwards. This is a unique idea and I look forward to trying this out. Thanks for sharing! At this point you can typically bypass the handful of plugins on your master fader and group tracks and here a big change in the mix. Your mix, without any processing on the actual tracks is already being transformed. You likely will have a cleaner, punchier, and warmer mix. What he means is before you even get to layer 1 you can click off the master and group channel plugins and then click them back on to compare how far you’ve gotten in your mix before you even process the tracks individually. I agree that this is slightly confusing. I’m assuming he doesn’t leave the Master plugins bypassed. I’m really looking forward to trying this one out. Thanks Graham! Another good one Graham, and an ear-opener for me. ‘Cuz I’ve been doing something of the opposite. I put a lot of time in when I’m tracking and arranging, because I want the sound of each instrument and voice to sound right – including the dynamics. I always check regularly at the top level, just to keep the balance about where it should be, but the plug-ins & busses are mainly decided at that level. Only when I’m done with all the tracking and arranging do I go to the top level, for the basic levels, pans etc., but not much in terms of plug-ins if at all on the master fader. I save that for the mastering. Then I work down from there, to the second level mainly for width and depth spacing, and sometimes back to the 1st level to check out irritants (like cymbal crashes that all of a sudden jump out). I think your suggestion would probably help me save time. But I would probably find it risky for my old-school ways and tastes. I don’t like to hear too many layered tracks to thicken the sound and hide the musicians behind each instrument. I want the musicians (3 to 6) behind the instruments to be clearly identifiable. That’s why I spend (too?) much time at the tracking/arrangement level. (at least, that’s where I’m at now – for most of my tunes already on SoundCloud, I wasn’t quite there yet). I like your thinking about tracking. Definitely the place to focus first. Thanks for your thoughts on this subject. Wow, what an eye/ear opener! That’s the best suggestion I’ve ever heard for a mixdown. Thanks, Graham. Can’t wait to try it. I can’t wait to try this. Thanks Graham for all your help .I really appreciate the way you give such good practical information .This just seems to make so much sense. Graham, that is a spectacular idea. Doing that for the next song, thank you! Thanks Graham. I think. U r an Angel sent from God to. Help Home studio. Owners. Once more thanks. Very interesting…this is the first time I’ve ever heard this concept and I already like it a lot…makes a ton of sense. That’s cool. I’ve actually been mixing and mastering this without really giving it any thought. A multiband compressor and tape sat on the master channel before I touch anything else. I haven’t gotten into busses yet. Need to look into that. These RR tips are helping me get more proficient in a simple structured way. I nearly paid €14 for a magazine on mastering today, then remembered that this stuff is way more helpful and easier to understand. Another brilliant bit of wisdom! I’m putting this to work right now. Just one question, how would you modify the approach, if at all, working with vocals as a group. BGVs in other words. I tend to individually EQ them all for a similar tonality as one of my first steps. Working top down still go for BGVs? Sometimes, yes I’ll just use one EQ or compressor on a group of BGVs. Just depends on if it works for your mix. Makes sense, in this medium one can taste the cake before they bake it. Great method, Graham! I think one other key benefit to this workflow is that “glued together” sound. At the Master level, any processing you apply shapes the whole mix rather than molding or carving individual elements out. Like communism, a lovely thought. This really is the recording revolution more great info per usual. At the top level saturation and compression makes sense I like to follow charles dye by starting w kick and snare getting to -10db then adding about -4db comp on the master. But I wonder what Master Eq you would add at this stage? I am doing this on middle layer I usually set up a back bus for drums and bass with some Eq high pass up to 35 and a front bus for all the rest of the busses where I do some eq roll off usually about 125. I am very interested to know are you doing master eq wise. Great post Graham, all these processes are so helpful and make perfect sense when they are put in front of you. Be careful Graham, Sharing all these “trade” secrets might start upsetting some professional engineers. LOL. There is one important thing that is missing in the article. A point that some mixers will use a lot. If you put your plugins on the tracks some daws can freeze those using up less CPU. Grouptracks can’t be freezed in most daws. So putting plugins there will be adding to the cpu. In my [large] mixes that’s not wanted. So I will be using most plugins on the individual tracks and freezing those. And not put my money on the grouptracks. Well…it depends… you can record the output of your Group Bus in a new stereo or mono audio track, so in a way you are making a processed Stem (or a Freeze track from a bus in real time). If you have nothing to add or move in the individual tracks, just do this and then you can disable them so they don’t use any CPU (You have the Freeze tracks only, and no individual tracks running, so that seriously enhances your CPU performance). The only bump with freezing tracks is the inability of making corrections in real time, but if it works for your mixes, that’s perfect. Thanks Graham your generosity is only exceeded by your teaching skills ( priceless ).the three level approach reminds me of how I was taught live mixing by one of Australia’s most respected liv e show sound guys he was first choice of all the local and touring bands. I learnt most standing next to him on a Billy Preston tour, a gentleman personified, he never failed to come and thank his sound guys and would introduce Sir Peter as a member of the band. He olso could hear the room from onstage he would ask ,how did you drag the audience on stage in song two in set four , this referred to making the audience invest themselves more in the concert experience . Pete,”r mono the board and fade the Lexicon” . He would often record the showmulti tracks and have me do a practice mix. “Don’t touch the pans and if I like what I hear you can play with the efx.Genious is hard to spot when you’re a know all kid with attitude.istiil love and respect that man.. Thanks, Graham. A nice approach to finalize a mix quickly. I have also experimented with this, and combined with “parallel” plugins on busses where individual tracks can be sent to varying levels and combinations of “far”,”near”,”high”, “low”, in terms of eq, reverb, etc., one can get amazing results. Hi-pass and anti-mud / anti-cardboard is as effective on group busses as on individual tracks, I found. Wow Heinrich – the idea of using parallel plugins for creating depth/height sounds brilliant and really got me thinking how this could be used. Can you expand on this idea -eg what types of EQ settings might you use for high/low – and what instruments might do you route to those? Do you use one reverb for far and one reverb for near? I realise this concept is huge and there is no one absolute answer, but i’d appreciate any general tips/starting points you may use – Many thanks for any advice you can give. Hello. I have a question. The EQ variation in each individual track doesnt affects the compressor response on the master bus? If the approach begins on the Master Bus Layer, doesnt we must back there after adjust the individual tracks eq? Thanks for your constant sharing, is a pleasure to read and learn. Nice solution. It’s great, I followed this on my recent mixes I got good results than before. Thanks for this solution. It’s very easy way to judge that how my mixes will sound overall in master, and also I used to get little bit of problem for my CPU process load in using too much plugins but by applying this art of top down mixes I get good result in less CPU processing. 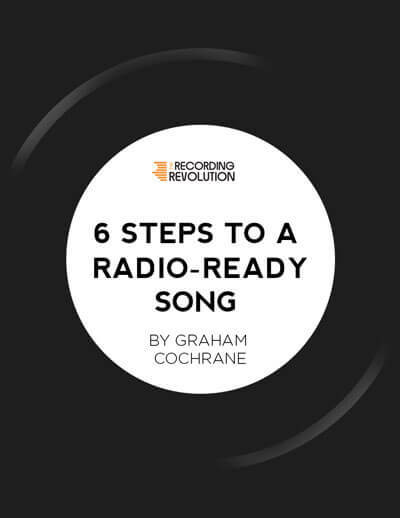 Graham I’d really like to see your comment on this – though it’s indeed a nice approach for achieving things faster, it also quite the total opposite from the approach you are teaching on the mixing tutorials products you are selling… Isn’t it? I mean, there the approach is bottom-up, starting in mono, getting just the eq right first, the compression, then adjustment, only then opening the mix into stereo with hard R-L, and only then busses. If you changed your mind regarding the approach, then perhaps you should be updating the tutorial products? Curious to hear your thought, as I am a bit confused to be taught two completely different approaches from a teacher I appreciate and support. I agree Tom. I felt the same and wrote an earlier comment about it, though putting a different slant on it. Hopefully I didn’t come out as being rude or anything, just thought it’s the obvious question to Graham, and I hope he will reply here to address the contradiction between the approach in the tutorial products and this top-down approach (which I personally think is great for quick stuff, but it also make it much harder to spot problems later on and understand WHY something might be sounding “cloudy” / “muddy” / not enough separation, etc. Mixes can sound solid, balance and full with top-down mixing, definitely, I’ve done that for years for speed purposes. But I (personally) only managed to get open mixes with clearer separation, when digging into the channels in mono and working my way up. Not changed at all. I always start with something on the master fader, even it it’s just a mix buss compressor (see my 5 min tutorials and REthink Mixing). Mixing in mono is the trick, no matter where you begin processing, so that’s always introduced early on in the mixing phase. thanks Graham. I do recall your tutorial on putting mild compression on the global output right from the start, and I’ve followed that advice for a while. Then I got caught up with Bob Katz’s K-meter business, so I now prefer leaving the overall dynamics for the very end. But never say never. I may go back to your approach once again. Proof that for me, as for most I’m sure, tracking, mixing & eventually mastering is an ever-evolving process. And you, my man, have made me evolve a hell of a lot. Thanks, perhaps it’s not clear to some of us reading the article if the top down is being done in mixing? If when going down to “ground level” for indevidual tracks all-most of the busses-master processors are bypassed or not? Nothing is bypassed. Sorry if that was confusing. My point is that if you bypass the plugins you can hear what a difference just a couple of plugins on the buss tracks can make. That is all. All of this article is being done in mixing. Just putting plugins on the master fader first. Before you jump to the individual tracks. Thanks, Graham. This seems like a fantastic, keep-it-simple approach that will surely prevent me from getting lost in the little details and never making it up to the top level at all! Worth a shot – I usually mix with my master-bus compression on just because that’s usually part of the “sound” of the song – I typically just set it as a hard limiter with only a few dB getting crushed on the peaks (-3ish) then replace it with a multiband comp a little later. Hi Graham, it could be actually pretty cool if you took that 10 minutes mix static mix from the video and demonstrated some top-down mixing on it. This is great technique, and for example Kenny Goia uses this approach in very nice way. You can see it one of his videos like Mixing Jazz Fusion. Highly recommended. That’s a win in my book! so are you using an Eq on the master or just compression? what eq settings would be on master? just high pass for sub freqs? This is a great idea. I think I will try this on my next mix and see how it helps me focus. How does top down mixing affect the mastering process??? I know a lot of mastering engineers don’t really like a lot processing on the master fader in a mix. Shouldn’t the master fader be left for the mastering engineer? Top down mixing sounds like an awesome mixing technique, however I think it might have a negative affect during the mastering process. Mastering engineers should care less what you put on your master fader, just as long as you don’t but a hard limiter on there and ruin all the transients and headroom. But EQ, compression, saturation, any of that stuff on the master fader is just part of the normal mixing process. I thought that usually people bounced down the mix and mastered in a separate project… ? or am I wrong? You’re not wrong – but what I’m doing here is not mastering. It’s mixing. Mastering has more to do with making multiple mixes sound good together than it does making one mix sound good on its own. Wow, without the detailed explanation of how to approach this, I would of certainly tossed this idea out of the window as it is so startlingly different. Thinking about mixing backwards in this way goes against everything I have learned and/or taught myself with mixing, but it seems like such a more streamlined alternative. I’m assuming this is a better route to follow when you are, not entirely, yet relatively comfortable with how your recorded sources sound due to them being in the “ballpark” range of what you want your mix to sound like. I’m going to take this method to the DAW with me and see what kind of results I can come up with on my next mix. Already I can admittedly say that I’m going to have some degree of trouble thinking in this backwards way as you put, but I am interested in seeing on how it may cut down on my mixing time, and if it generates some different results than what I’ve been achieving. -Do you ever find yourself going back to the top of the chain and adjusting your already adjusted parameters on the master or group busses? I feel like if you made adjustments at the base it would, after some time, affect your settings in the “higher” track’s plugins? It’s definitely something you have to try. And yes, I find myself tweaking even to the end. Just trust your ears as you do this. If it still sounds good, then you’re fine. Would you still want to have high pass filters on all your non-bass tracks using this approach? Totally. It would just come later in the process if you still needed it. I love this approach. In all my years, I always started with an instrument or a drum. I recently watched a video by Steven Slate where he shows this method when mixing drums. He starts with the drum buss. It was truly eye opening for me. Love this method!!! I hadn’t thought about using the plugins on the master though!! Will give it a shot!! Great stuff Graham! I’ve known about this technique for quite a while now. I don’t know why I haven’t implemented it into my mixing though. Definitely will on the next one. I actually had a chance to go to Sweetwater this past summer for a master recording class and that’s exactly how their mix engineer (Mark Hornsby) approached the mixing of the song we worked on. And to the guy talking about adding reverb to your master bus, I would hold off on doing that and leave it for mastering. It would be terrible if all you hear is a wall of reverb after all that limiting. Thanks so much Graham for all your wonderful insight over the years! God Bless! I think It’s not good to process your master track, mastering is used for subtle changes of the mix, maybe if you create an master bus it could work better and then maybe another day or let your engeener do the master work. This top down technique is really useful because it let you discover problems in your mix really fast, but althrough all this you want to make sure you’re not clipping, while taking signals on and on. It’s called top down mixing not mastering. I would recommend to use top down mixing on busses, on a drums busses and melodies busses, but I wouldn’t touch master faster until I’m satisfied with the mix. Because mainly my goal is to make drums separated from the melodic instruments and make them sound together lately with mastering. You will not make them sound separated if you already master a song and that could be a problem. Hi Graham, I really love your video and tips. But I had a slight disagreement on this one. If u r using any kind of saturation (compression eventually) on your master, then working on the dynamics at the ground floor level become.es a little tentative…..Isn’t it so? I would totally agree with having eqs on the mix bus, but would you really think any ki d of compression on it would be convenient a the start of a mix?